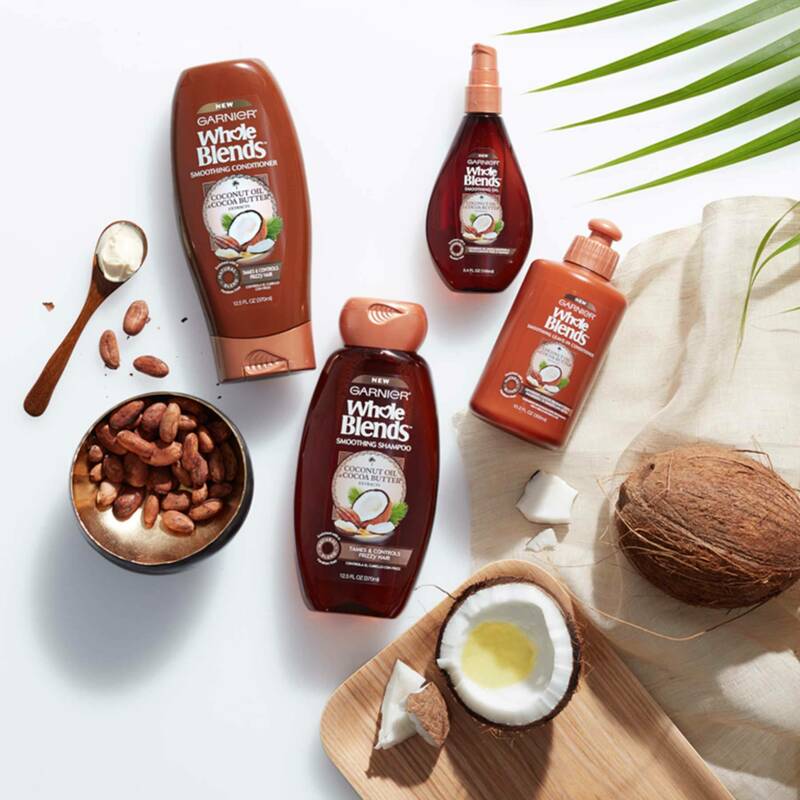 Our smoothing leave-in conditioner deeply nourishes, smooths, and softens frizzy hair by bringing together nature’s best. 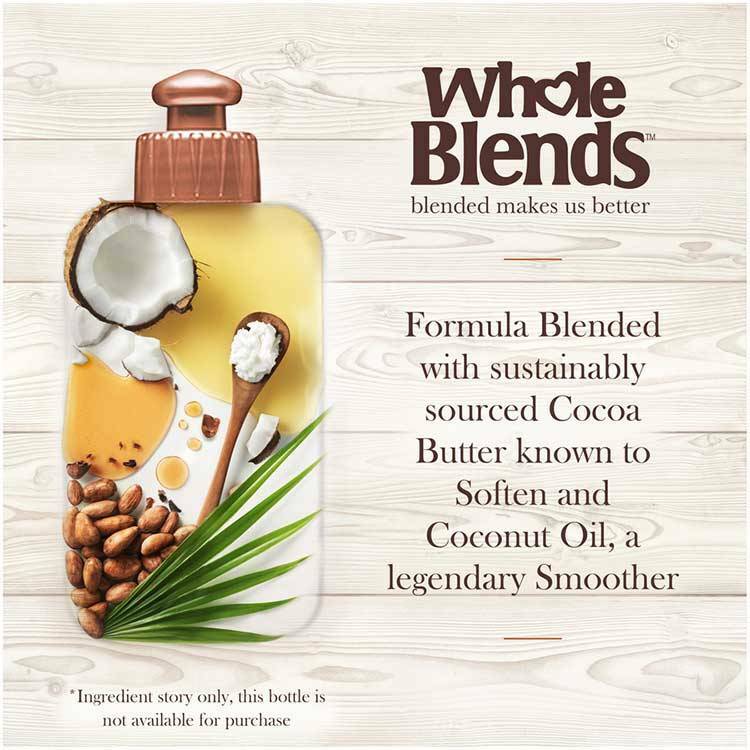 This blend is crafted with sustainably sourced Coconut Oil from the south pacific and African Cocoa Butter extracts, creating a velvety formula bursting with tropical fragrance. is paraben-free and gentle enough for everyday use. Apply a quarter-size amount to damp or dry hair and distribute gently and evenly.Do not rinse. To indulge in our smoothing ritual, use after Smoothing shampoo and conditioner. Rated 3 out of 5 by missunshine from When I used this product I was excited. My hair is severely dry and frizzy. I love garnier products. They always smell amazing. This was one of my least favorites due to it not meeting my needs. It helped but it made my hair feel somewhat soft but I still had the frizz. Rated 5 out of 5 by djs1 from Smells great and works great on dry hair. Would recommend and use as a secondary or third shampoo, conditioner set. Rated 5 out of 5 by ashleer7b5a from Ive used this product for years, the pice is very affordable and helps with my frizzy after-shower hair. I put this in right after showers and when it starts to look a little dry. My hair always on the dry end since im constantly changing the color and this helps it a lot! 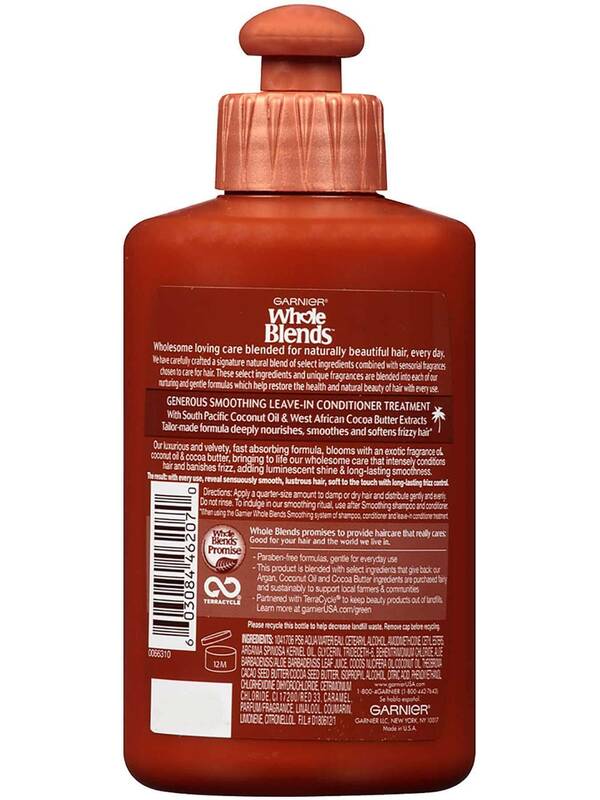 Rated 3 out of 5 by tanaa1 from Im a huge fan of leave-in conditioners. 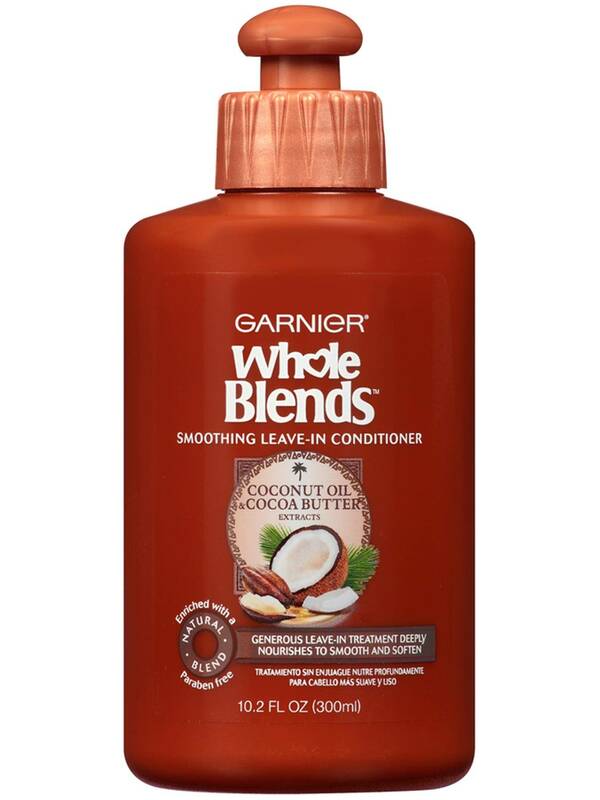 This one especially because the smell is amazing and i can always count on it to leave my hair soft and flowy. I wwas definitely happy with this product. One of the best.